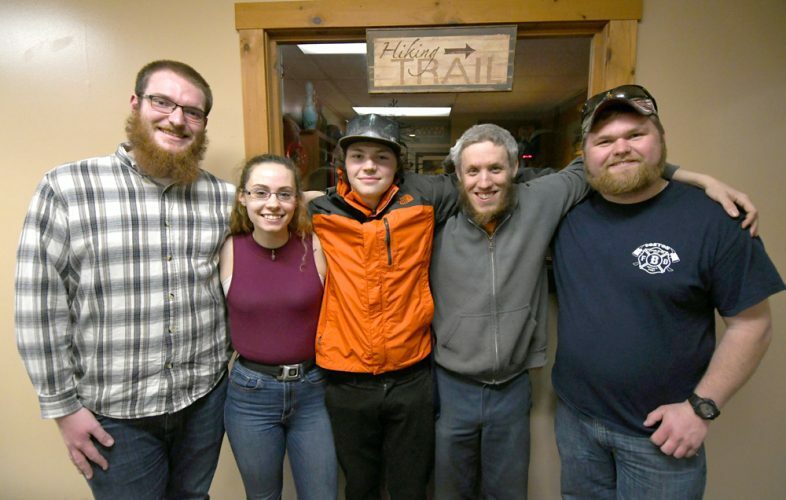 SARANAC LAKE — Some of Saranac Lake’s school records in track and field have stood for years or even decades. 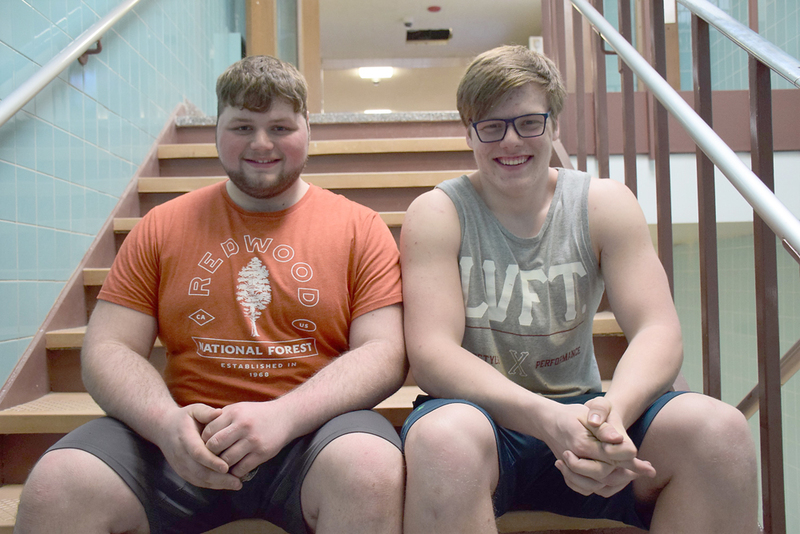 However, a pair of student-athletes are gunning for records in the shot put and discus this year, even as one of the record holders coaches them. Senior Jonathan Hewitt and junior Patrick Alberga have their eyes on the school records as they begin practice for the spring track and field season. Hewitt is focusing on discus, and Alberga will be the team’s top shot putter, but each athlete will complete in both throwing events. 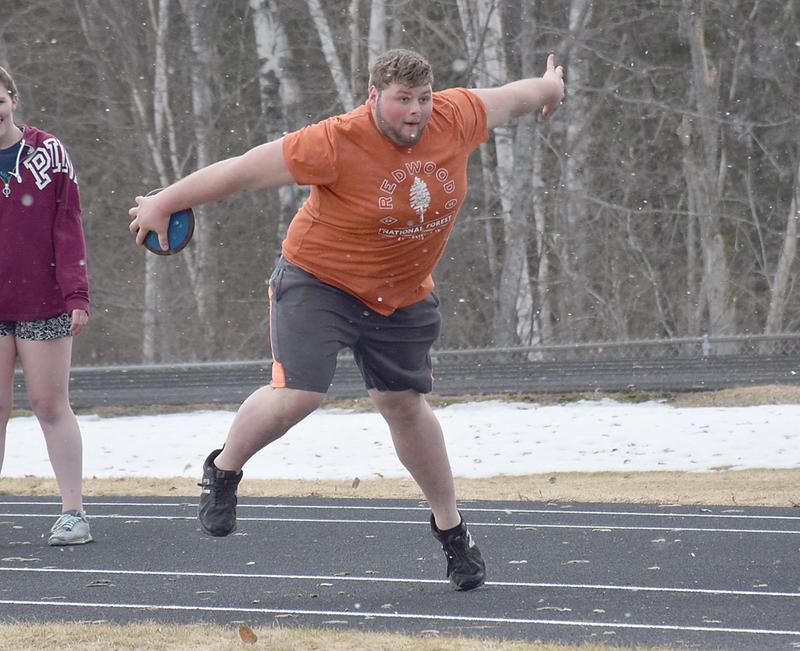 One of the team’s coaches, Cy Ellsworth, is the current Saranac Lake record holder for shot put, having set the mark of 53 feet, 8.25 inches in 1990, while Mike Todd holds the discus record of 155-7, set in 1987. Ellsworth was nothing short of giddy when describing Hewitt and Alberga’s potential to top him. “We’re really deep in the throws,” Ellsworth said. 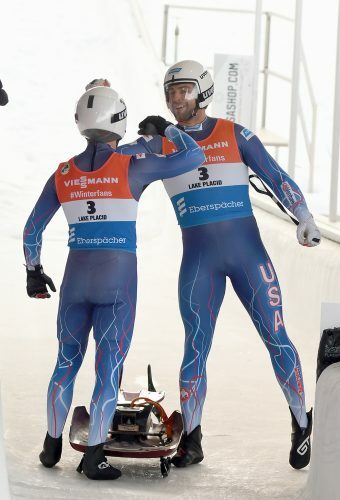 “We think we have the top discus thrower in the league, (and) we have the top shot putter in the league by several feet. “Pat Alberga is the shot put guy, and he’s into the 50s (feet). He’s ranked eighth in the state. Jon is our discus thrower that should push for the school record; he’s going 140s now, and that’s in the snow. Ellsworth said that at any other school, Hewitt would be the team’s top shot putter, and Alberga would be a leading discus thrower. Ellsworth added that his son, Mitchell, is throwing discus over 100 feet as well, but as an eighth-grader he’s still on modified because Hewitt and Alberga are so strong in their disciplines. Hewitt said he’s been working on his throwing all preseason, in addition to strength training. “Lots of repetition of throwing,” Hewitt said. “Coach said repetition is the best way to get better at throwing, so we’ve just been throwing, throwing, throwing since the start of practice. 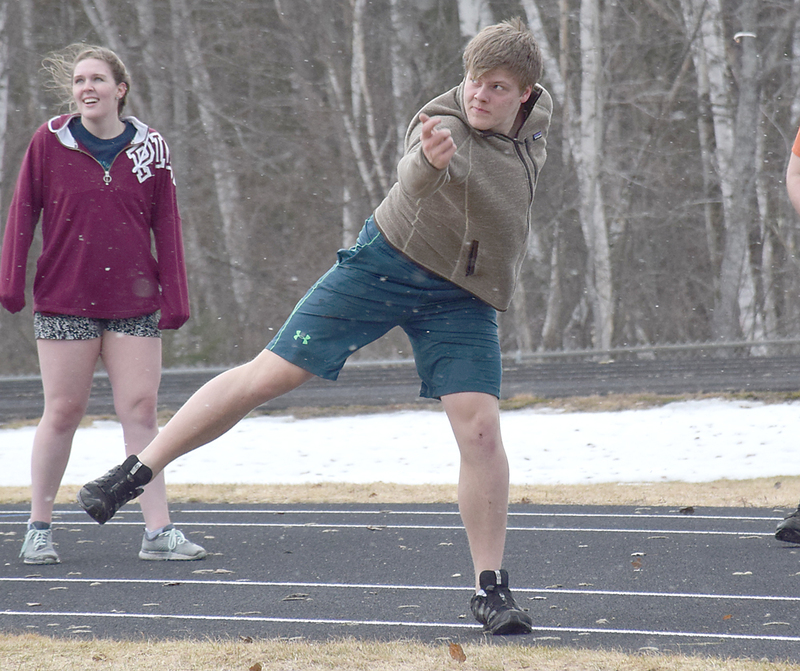 Alberga, who competed for the Red Storm during the indoor track season over the winter, said he’s already improved since representing Saranac Lake at the state championships in March. Although there is still a fair amount of snow on the ground, Alberga said they’ve been practicing both indoors and outdoors. “We either throw inside or outside; we do some warm up throws and then we do five or six actual throws and then we go the weight room and do some explosive exercises,” he said. “I’ve been training for hurdles because I’m trying to do pentathlon again this year, but I feel like I might just be going for shot. 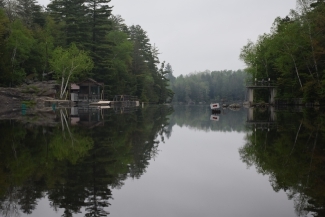 “I’m going for the record for shot again this year, but we’ll see how it goes. He’s (Ellsworth) been helping me a lot outside of practice. We’re probably going to do a little bit of throwing over spring break. The Saranac Lake track and field team is set to open the season on Tuesday, April 23 with an away meet at Beekmantown.